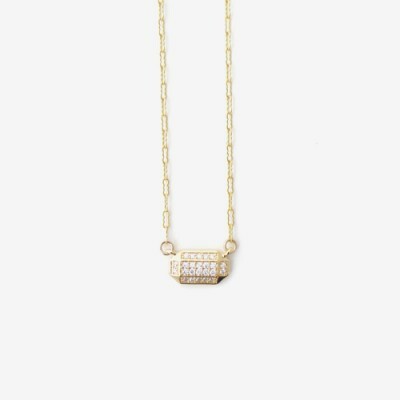 My simple, emerald cut Prism gem is accented with neatly pavéed rows of sparkling stones and dangles from a delicate chain. Modern and elegant. Focal is .5 x .25"
Materials: Brass, 14k goldplate, 14k gold fill, cz.